I have always loved peanut butter. I think I went a whole year eating peanut butter and jelly every day for lunch (much more peanut butter than jelly). Even though I don’t eat as many peanut butter and jelly sandwiches everyday, I still eat peanut butter in some form everyday – on bananas, apples, straight off a spoon, in baked goods, etc. Recently, I have discovered almond butter. 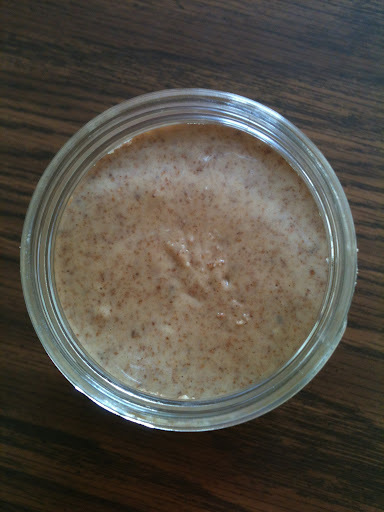 After researching, I found out that almond butter is healthier and better for your heart! 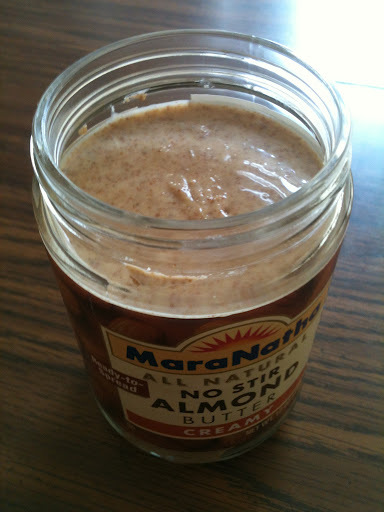 I went out and bought my first jar of creamy almond butter by Maranatha. It tasted SO good and I am in love. 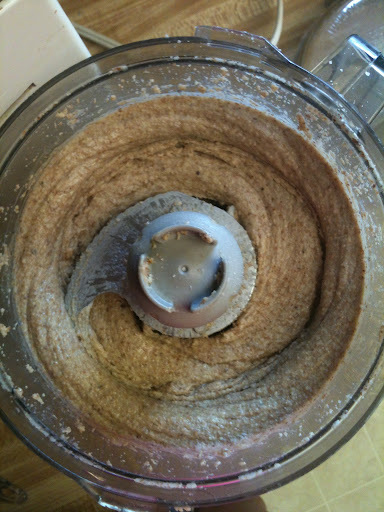 I use this more than peanut butter now, but once in a while I like to change it up and have peanut butter. 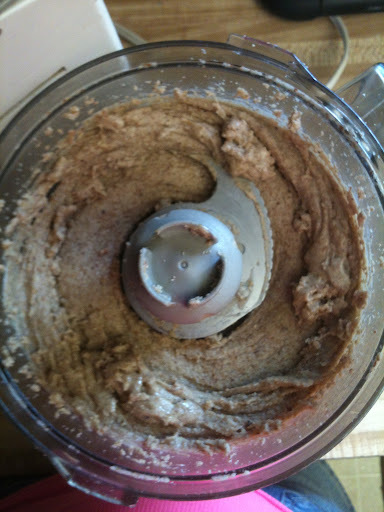 After that first jar of almond butter quickly disappeared, I decided to try making my own. I heard it was very easy to do and it was, though a little time consuming. 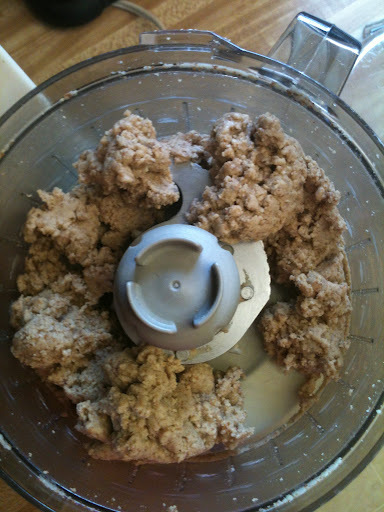 After a few minutes it will turn into powder (like flour). 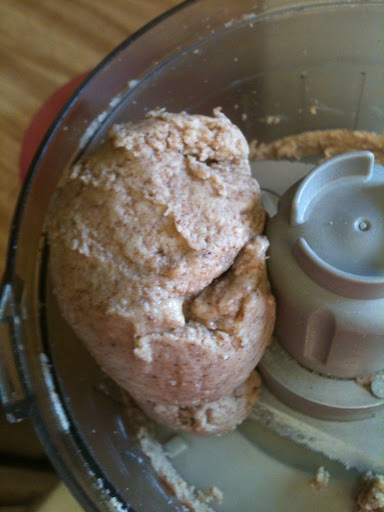 I took this picture after blending it a bit more so its not as powdery looking as it was at first. It starts to stick together. 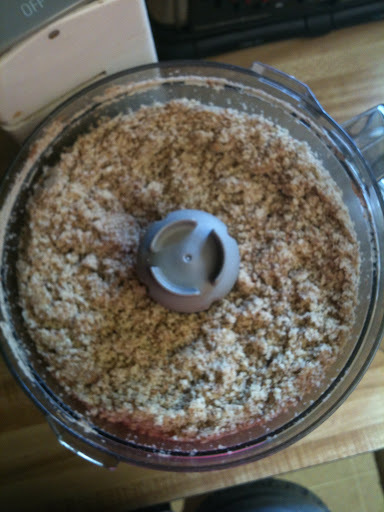 (This is the texture you want for date nut crusts). Now it’s really starting to clump together. Keep blending! 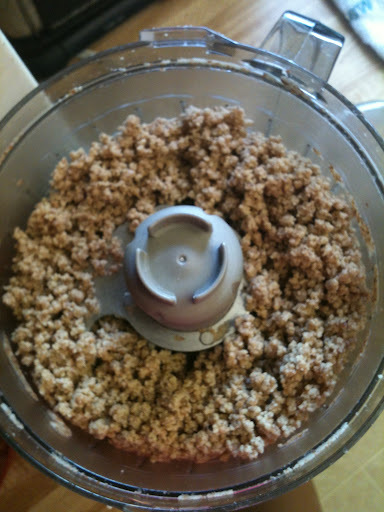 Then a big ball forms and you have to use that patience to keep blending. Finally, it starts to get creamy! Almost there! Love this picture! Look at how smooth and creamy it got! Yes, I reused my old almond butter jar 🙂 2 cups of raw almonds filled it up perfectly!